Among the things that your commercial roofing contractor in Peoria can help with are solutions for drainage on your flat roof. One of the most important decisions to homeowners are which options and choices are going to provide the most safety, efficiency and integrity. While there are multiple ways to handle drainage on a flat commercial roof, choosing which to go with is the question. Maintaining your flat commercial roof’s integrity means choosing the right drainage solution for your particular home or building. For many years flat commercial roofs have been a go-to choice for commercial roofing contractors. Using these roofs to complete projects have meant buildings are constructed with superior detail and attention. 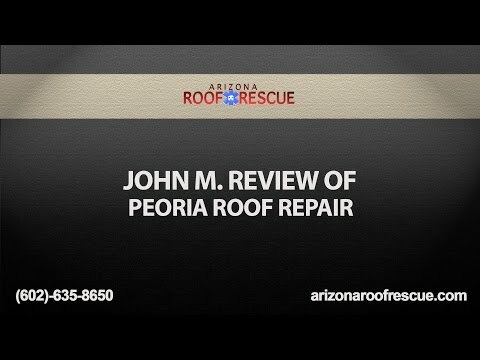 The strength and durability of commercial flat roofing in Peoria depends greatly on the drainage of the roof. Whether the moisture comes from rain or snow melt, draining the water is of upmost importance. Especially with the Arizona monsoons, without a way for the water to escape the flat commercial roof, water pools in shallow areas and can end up causing leaks, deterioration and can even cause moisture to soak deeper into the roofing material and hide until winter months when the preserved water forms ice and much more damage than it would have with proper drainage on the roof. The three types of drainage systems that commercial roofing contractors have found work best for flat roofs are Interior Drains, Scuppers and Gutters. This particular drainage system is made up of drains that are placed at specific locations in the center of the commercial flat roof in combination with a grid system of pipes and gutters that help to move water from the center of the roof. Because commercial flat roofs are subject to pooling water, interior drains work to move water to the exterior of the building. These drains are usually paired with a type of strainer or topper that helps prevent any debris such as leaves, branches, and other build up from clogging the gutters and pipes. Because water tends to collect at the shallow areas in the center of flat roofs, this option proves to be a great solution for larger commercial flat roofs. On top of being efficient in moving water away from the roof, this drainage system is the most aesthetically pleasing because it is hidden inside the roof and unseen from anyone looking at the building. Even with all the benefits of interior drains these can be on the costlier side of solutions as any hidden drainage system can be a large investment but an excellent value for your Arizona building. These are among the most common form of drainage on large commercial flat roofing, and most of you have more than likely seen this type of drainage system. Gutters are open pipes that run along the edge of commercial flat roofing that catch and carry water away from the building. Water runs into the gutters as it drains off the roof and this system moves it away from pooling. Gutters are usually the most cost effective drainage system installed by your Arizona commercial roofing contractor, as they can be installed to any flat roof without it being finished and with little to no modification to the roof itself. Regardless of the level of rain received by an Arizona monsoon, gutters are an excellent solution to handling any amount of moisture. Just like with any drainage system, gutters have to be cleaned and serviced regularly to function at their best. You may have seen water projecting from commercial buildings during periods of heavy rain. These outlets are called scuppers and help move the water far away from flat roofs to prevent pooling and issues that typically ensue. Water drains from the roof into scuppers and then is projected away from the building – this keeps the building’s foundation safe as it prevents too much moisture from getting caught near parts of the foundation that may be subject to flooding or damage. Situated right in the middle of gutters and interior drains for cost effectiveness, scuppers work the most efficiently when the water they work to project are directed to them using some sort of other system. This could be a sloped flat roof that would direct the water accordingly. Although our Arizona winters rarely see cool enough temperatures to produce snow, it’s important to know that scuppers are not ideal for snow melt. Scuppers are a good solution to discuss with your commercial roofing contractor for the Arizona monsoons, however. Of course the best decision will come using the opinion of your Arizona commercial roofing contractor. Commercial flat roofing is best served as a roofing solution only when paired with the proper drainage system and when installed by an expert. It is essential that to maintain the highest level of integrity of your flat roof to guarantee that you choose a drainage system best suited for your climate, preference and budget. With the right design to ensure the reliability of your flat commercial roof, Arizona Roof Rescue is prepared to install and design your roof with quality and details in mind. Contact us today!